Sphericam has introduced ‘Beast,’ its new pro-grade 360-degree VR camera. This beastly model features four 1″ 4096 × 2160 image sensors, four 190º fisheye lenses, and four M.2 SSD drives with a 2.8 GBs bit rate. 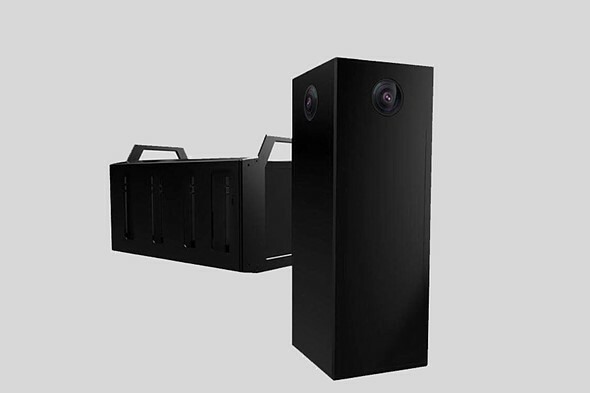 This combination of hardware enables the camera to record ‘more than’ 6K resolution footage, according to Sphericam, at 60 fps in a 10-bit Raw format (30fps for stitched content). Beast is designed for use by studios and other companies in need of pro-grade VR hardware. Beast spent ‘several months’ in development, says Sperhicam, and was recently launched at NAB in NYC on November 9. In addition to recording ultra-high-resolution 360-degree videos, Beast can livestream content to headsets or the web, making it suitable for broadcasters as well as filmmakers. The company hasn’t yet revealed how much Beast will cost, nor when it plans to commercially launch the camera.